Well hello all. If you’re reading this right now it means you found your way to my little corner of the internet, my blog. Maybe you’ve been subscribed to me for awhile, maybe you founds me through social media… however you made it here, welcome. Over the last 6 years this blog has covered everything from my time volunteering in Bolivia to my life going to Paramedic School in Alaska. If you’ve been around here for awhile you may notice a bit of a different look and purpose currently. Just as seasons change so is my blogging season, and out of this new season has grown “She’s Paying it Off.” A place where I can share about my current journey to become debt free. A place for victories and struggles, ideas and advice. Now, without further ado, story time, or moreover the story of how I got to this place financially and why I decided to so something about it. I promise to make it concise *wink*. Just after I turned 18 my mother took me down to the bank and helped me open my first credit card. I needed to build good credit she said and this was an important first step. A couple weeks later I left for my freshman year of college. I hadn’t worked that summer and didn’t have much disposable income at the time. I still remember my first purchase on that card, Finding Nemo on DVD. The thrill of the purchase, the idea that I could spend money even though I didn’t technically have it. Still though I was very careful with the card, typically only using it for needs. I was lucky I went to college before social media became very big (everyone was still using myspace at this time, and it was new, just to date myself) so the temptation of comparison and the luxury of online shopping wasn’t commonplace. Fast forward 4 years to graduation. By the time I was granted my diploma for my Bachelors of Science in History I was well aware of what debt was. I had maxed that same credit card just a couple months earlier to pay for a spring break trip to Disney World and had approx $35,000 in student debt under my belt from my silly degree as well as a semester spent studying abroad. Some of you may be confused as to why I refer to my degree as silly but it really was. I had no plans to do anything with History, I just enjoyed the subject. Everyone had said I needed to go to college after high school, so I did. No one told me I should probably have some idea about what I wanted to do with my life first (trust me, I’ll elaborate on this much more later). I assumed after I graduated college just the fact I had a degree would land me a good job and I could pay off my debt and live the life of my dreams. Spoiler alert, it didn’t. I moved back in with my parents and after putzing around for a year was hired as a second grade teacher at a school in Bangkok, Thailand. The job definitely wasn’t lucrative but it gave me adventure, something I craved more than anything. My student loans were deferred, and I had a blast for 2 years. I won’t go into all details of my life between Thailand ( I moved back to the US in spring 2010) and when I first discovered the way, er, *cough,* I mean Financial Peace University. We’ll just say I traveled the world and made very little money. I don’t regret a minute of it but in hindsight it probably wasn’t that smart. Now here I sit. 5 years later. I”m approx $80,000 in debt give or take, but I”m making headway. I did finish that second degree and got my dream job. I now make double what I did before which is fantastic, but I still have a long road ahead of me. If you’ve made it all the way through my story I must say I’m impressed. I know it’s not that exciting, but it’s also so necessary on this journey. I need accountability and I’m hoping you can help me with that. I don’t know how long this journey will take, but I know I’ll get there eventually. I believe it. Categories: Debt Free Journey, Life, Saving | Tags: Debt Free Journey, Financial Peace, Saving money, She's Paying It Off | Permalink. This type of post is new for me and a bit of a departure from my usual life recap posts. See, July posed a bit of a challenge for me. Because it was the end of the fiscal year I found out I would have to wait 6 weeks for my next pay check instead of the usual 4. On top of that I also had to pay my tuition for summer semester, so when all was said and done I was left with a pretty empty bank account to get me to the next paycheck and I had to get a bit creative. I can’t lie, having a severely restricted budget for the month was super difficult. For example, there was one Saturday when the weather was gorgeous and I had nothing to do so I thought I’d take a road trip down to Homer. Unfortunately road trips require gas and gas costs money, so it didn’t happen. However, despite the frustrations that came along the way, I actually enjoyed coming up with ideas and figuring out how to make my few dollars stretch further. In the end I compiled a list of things I did, ideas that worked, and blessings I got, and I thought I’d share it here . Cooking with what I already had: My cupboards have never been bare. I always have a few packages of pasta, pancake mix, ramen, etc., I just usually skim by these items until I crave them, instead favoring what I want right now (pizza anyone?). So, in July I made the decision to only cook with what I already had with the exception of buying milk and eggs since most recipes call for one or the other. In the end I never went hungry, I found new recipes, and I appreciated what I had that much more. Planning a Potluck: Speaking of food, as an RA (Resident Assistant) I’m expected to plan and execute one event in the Residence Hall every month. Since fireworks are difficult in Alaska (thank you 22 hrs of daylight), one of my fellow RA’s and I planned a Fourth of July Potluck and Movie night for our event. I brought cupcakes (which I already had the mix for on hand, see #1 above) but got to enjoy other dishes like beer battered halibut and home made mac n’ cheese. Not a bad dinner at all. Then on top of the food we also had free entertainment by watching Independence Day on our big screen. Went on ResHall Grocery Runs instead of driving myself: In the Residence Hall I live in (picture college dorms but better), since we have kitchens but don’t have a dining hall we offer grocery runs every week to the local store. Anyone can go on them so long as there’s space left in our Sprinter van. More often than not we go to Fred Meyers, which is my store of choice, so instead of hopping in my car and driving myself (therefore using gas), I joined in on the grocery run. I was able to pick up the few items I actually needed and the transportation cost me nothing. Biked into town– I needed something from the grocery store and it was a non grocery run day so I borrowed a bike and rode to town instead. It wasn’t easy considering it’s been years since I’ve been on a bike, but it was free! Cancelled my CBS All Access subscription– A few months back I subscribed to CBS All Access so I could watch Survivor and The Amazing Race. Both shows are currently out of season and I found I wasn’t using the app at all, so I cancelled it therefore saving me money. I’ll pick it up again sometime in the future, but there’s no need to pay for something you don’t use. Earned Amazon giftcards for things I needed: I’ve been a product tester for awhile and one of the sites I go through, Crowdtap, also gives you the ability to earn Amazon.com giftcards for answering various questions or surveys on the site. Another site, Swagbucks, is similar in that you can earn giftcards for doing various different activities. When I watch TV etc. I usually like to multitask so I decided to put my multitasking to good use and try to earn some giftcards through these sites for a couple things I needed. In the end I had $20 to work with, and while I won’t do this consistently it’s a good option, especially for those who like to shop on Amazon a lot. -Brought my own snacks for the flight and an empty water-bottle to fill up in the terminal to save money. I did end up buying a soda from McDonalds, but the McDonalds in the Anchorage airport is on of the few that still honors $1 drinks instead of jacking up the price like other airports. They also don’t have tax so I was able to pull a dollar bill out of my wallet and be done. So there you have it, some of the ways I was able to save money during July. This is most definitely not an exhaustive list, but I thought I’d throw a few things out there. Right now I’ve continued the challenge into August. While I’m not quite as strict as I was in July I’m really doing my best to save more, especially with my internship coming up next month! Categories: Life, Saving, Travel | Tags: Budget, Saving money, Spending Diet, Ways to Save | Permalink. I’m taking a break from my recent steady stream of Alaska blogs to go down a bit of a different path. 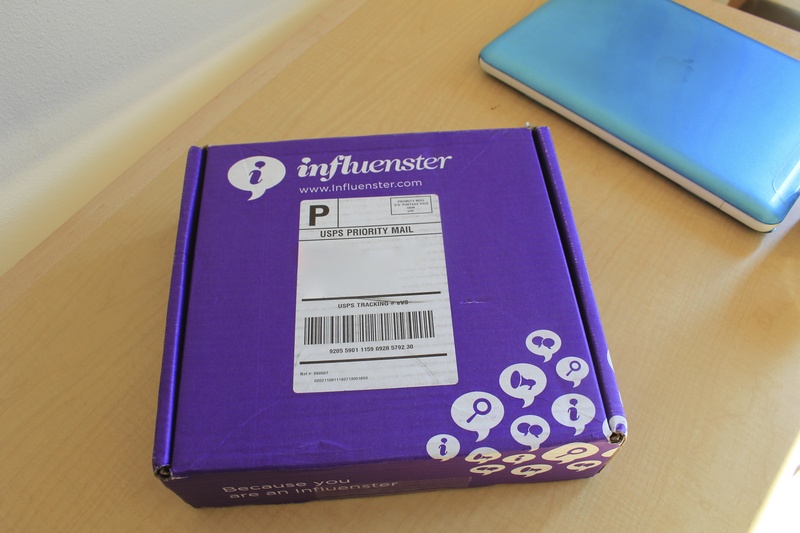 A little over a month ago I wrote a blog about a box of goodies I received (aka voxbox) from a website called Influenster. I must say, Influenster is a pretty cool site. Part of me wants to keep it to myself in order to keep the pool smaller and increase my chances of receiving products in the future, and the other part of me wants to tell everyone I know to sign up because it’s that cool. From what I can tell Influensters main purpose is product testing/reviews. Once you sign up you put yourself in the running to receive what they call a Voxbox. This is a box of free items that you get the chance to test out and review. Sometimes there are items from multiple brands in the box, sometimes it only focuses on one, it really depends. The probability of someone being chosen for a voxbox also depends on a couple of factors, demographics being a huge one, but also your social media presence as well as how active you are on their website doing reviews etc. I signed up for Influenster at the beginning of June and already received my second Voxbox, the Vitality Voxbox, last month! Before they choose you to receive a box Influenster sends out an email survey to make sure you qualify. In this case I wasn’t feeling to confident because the first half of questions were all about coffee, and if you know me you know I think coffee is gross. The big bummer about that though? 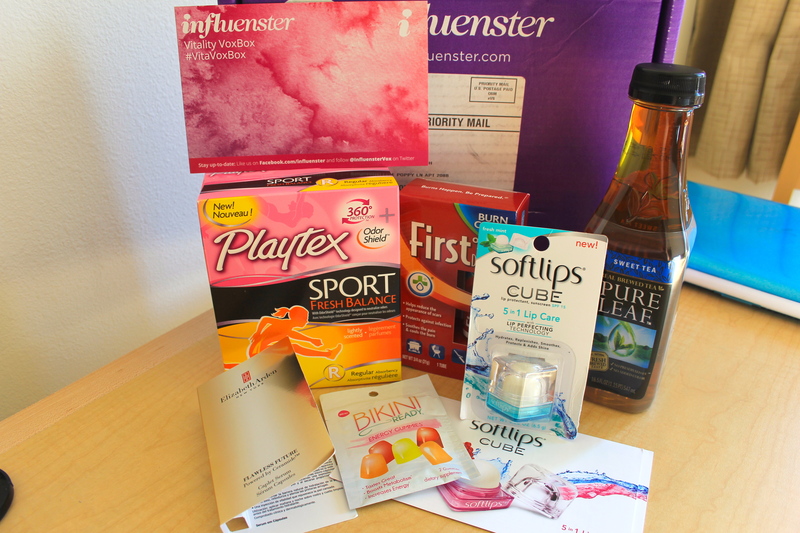 Ya, last month Influenster launched a voxbox with the new Keurig 2.0! People received the Keurig to try out for FREE. I was so bummed, if only I liked coffee! But, despite me obviously not qualifying to receive the Keurig I did qualify for this other voxbox and I still think it’s pretty great. 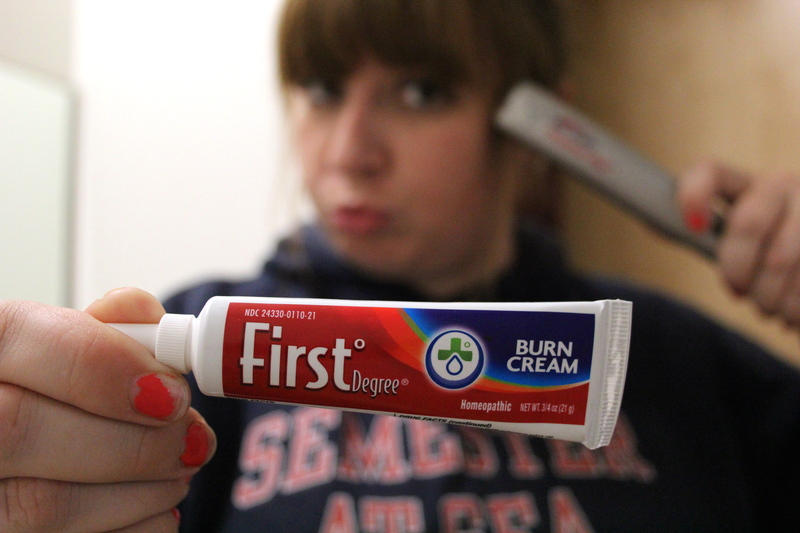 First Degree Advanced Burn Cream ($5.97-$8.99)- Between cooking and flat ironing/curling my hair I get little burns all the time, but you know what? I’ve had this burn cream for a month, ready to go and not a single burn! I mean, in all honesty that’s a good thing. I would never wish for a burn nor burn myself on purpose just to try out a product. So yes, I haven’t used this yet, but I have heard great reviews from others if that makes a difference. According to the box it “helps reduce the appearance of scars, protects against infection” and “soothes the pain and cools the burn,” all of which are a plus. Elizabeth Arden FLAWLESS FUTURE Powered by Ceramide Caplet Serum ($60 for 1.0 fl oz)- That’s a bit of a mouthful no? So, I didn’t receive a full size of this in my box but I did receive a big enough sample to give it a good try. I do really like the packaging, or I guess moreover the appearance of the serum. 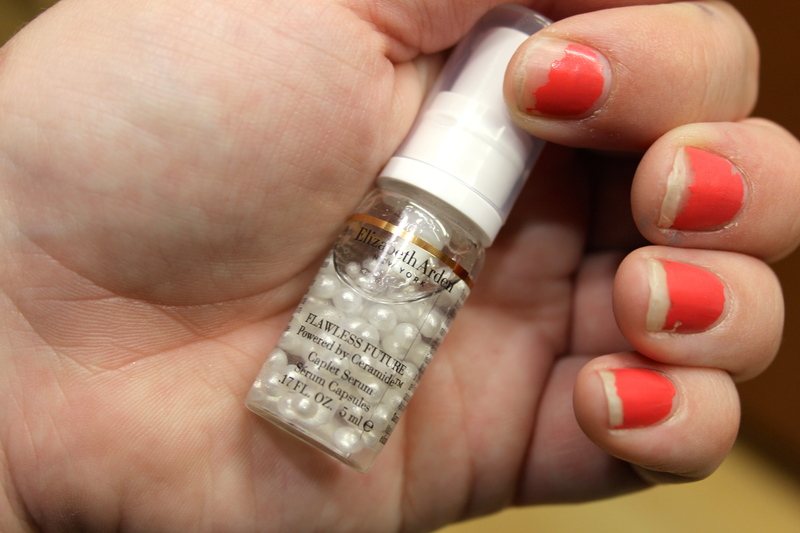 As it sits in the bottle there appears to be little pearls suspended in a clear gel but then once you pump it out everything gets mixed together into a pearlescent serum. The purpose of the serum according to the packaging is to “reinforce skin’s essential moisture barrier, even skin tone, retexturize, and reduce the appearance of early signs of wrinkles.” I’ve been using the serum everyday after I wash my face and I can say I’ve noticed a difference. While wrinkles aren’t really a problem for me just yet I have seen my pores shrink as well as my skin just tighten and brighten overall. The serum is also very lightweight and dries quickly, which is nice. The only thing not so nice? The price. It will probably be a little while before I can get some for myself but for any of you willing to spend a little extra on your skincare routine I definitely recommend it. Just ignore the ugly chipped fingernails pro favor, they’re really bad but the serum is really good. Playtex Sport Fresh Balance ($3.99)- Playtex/PLaytex Sport Tampons aren’t new to me. I like them a lot and have used them for years. The only thing I don’t like about these specific tampons are that they’re “lightly scented.” From my experiences in the past scent is just not a good thing in this area so I probably wouldn’t buy these specific tampons in the future. Softlips Cube ($3.49)- I have to admit, this was the item in the box that I was the most excited about. I’m such an 8 year old at heart haha. If you know the softlips brand you’re probably used to seeing their packaging as long, skinny tubes. In recent years other brands with more squat, cute packaging have been gaining popularity. I’ll admit, I bought some of the competitors because I liked that I could just sit them on my desk at work and they wouldn’t roll away. Softlips must have been paying attention to this because now they’ve released the new Cube version in three different flavors. I received the fresh mint flavor in my box. I was a little apprehensive at first because I don’t usually gravitate toward mint, but this mint must have some sort of menthol in it because my lips felt cool and icy as soon as I put it on. I definitely liked it and I totally recommend it! If you’re thinking of trying out this new chapstick here’s a link to a coupon for $1.00 off two. Bikini Ready Energy Gummies ($14.99/Jar)- Some select voxboxes contained full size jars of these gummies but I unfortunately only got a sample, therefore I don’t think my review will hold as much weight was someone who was really able to try it out, but I will tell you my thoughts. My little pack contained 2 gummies, which is essentially a single serving. According to the packaging they “taste great,” and it “boosts metabolism” and “increases energy.” But also if you read the small print on the back it says “two Bikini Ready Energy Gummies provides approx. 20mg of caffeine equivalent to 1/4 cup of brewed coffee.” I don’t know about you but based on that statement I would need to eat a whole lot more than 2 gummies to get the energy boost I need. 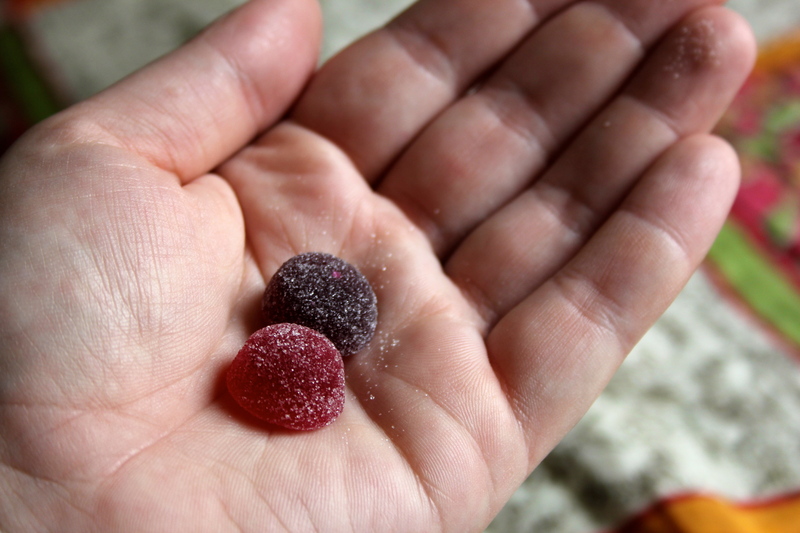 The gummies themselves remind me of small sugar covered gumdrops. 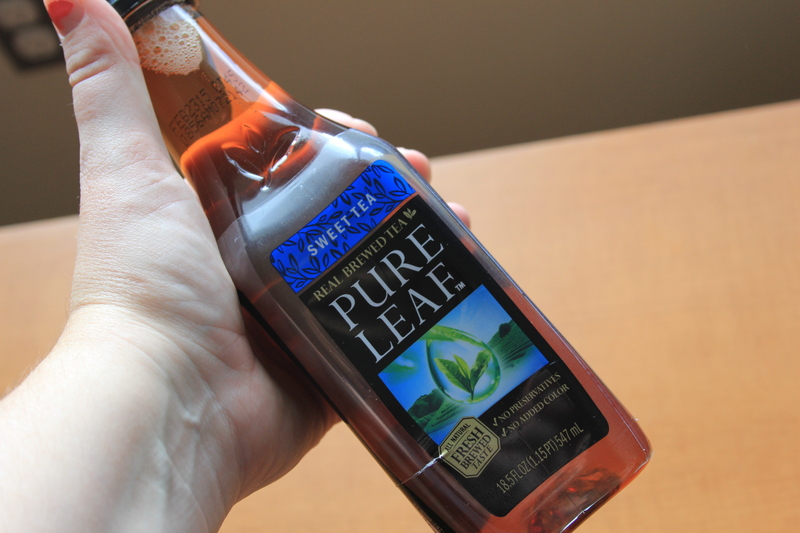 The taste isn’t bad, not great like the package claims, but not bad. The aftertaste however? Horrible! And it lingered. I had to go drink a cup of juice just to get rid of it. I also didn’t notice an increase in energy or metabolism however I’m sure it would take much more than one days worth to notice a difference there. And that’s all I have to say about that. So there you go, the #vitavoxbox. If you like getting free things I definitely recommend going to their website and signing up, it’s really easy (and no, I was not asked to advertise them, I just think everyone should get a chance to take advantage of the opportunity if they would like). You can follow my link here to get yourself all signed up! So have you tried any of the above products before? Anything you’re going to try? * I received the above products complimentary from Influenster for testing purposes. The opinions are my own. 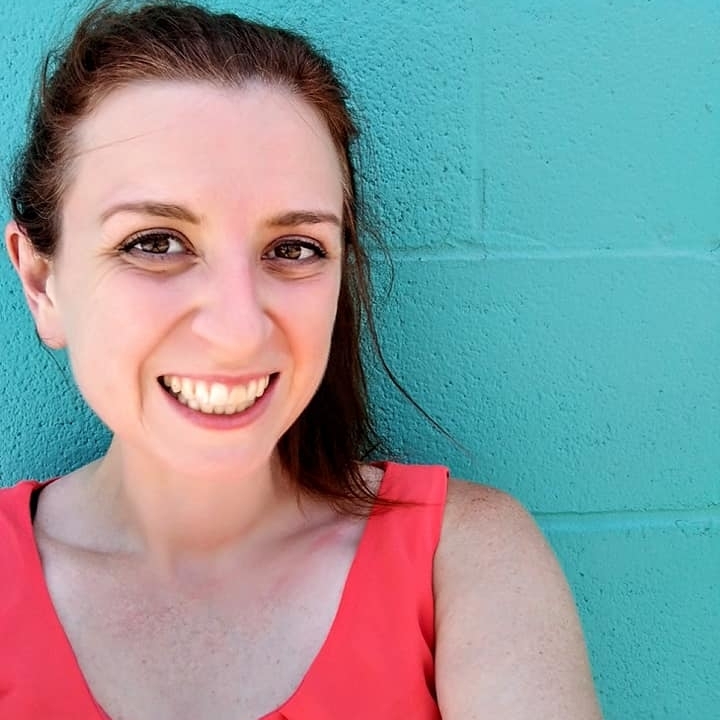 Categories: Life, Saving | Tags: #BikiniReadyLifestyle, #BurnsHappen, #FlawlessFuture, #getcubed, #loveofleaves, #PlayOn, #vitavoxbox, Amanda Dorough, free stuff, Influenster, review, vitality voxbox, voxbox | Permalink. Imagine. It’s the middle of October and you’re headed to Walmart to buy a new pack of underwear. On your way back to the unmentionables section you are suddenly overwhelmed by racks and racks and racks of clearance summer clothes filling up the wide aisle. You think “sweet! Maybe I can score an awesome _______!” But after 20 minutes of sorting through XS booty shorts and XXL T-shirts with cats on them you give up. Dissapointed not to make the find of the century. Can you relate to this scenario? Maybe it wasn’t Walmart (because lets face it, their clearance items are usually not that great), but at Target, JCPenny’s or some other store instead? I typcially have great luck when it comes to clearance sections, but if I’m trying to find something specific I’m usually screwed, especially when it come to pricier items. But I think I’ve finally found a way to get what I want for a price I can pay. See, even expensive stores like REI can end up with to many Columbia raincoats and in an effort to move inventory they need to slash prices giving normal people like us a chance to get that sweet item we’ve been eyeing. Case and point. When I returned home from Bolivia last winter I had just spent the last year in summer climates. My collection of winter clothes was lacking and I desperately needed some boots, but, considering I didn’t have a job and hadn’t had a paying job in a year I needed them to be cheap. I looked everywhere, in stores, online, but nothing was right. Either they were ugly or way to out of my price range. They may not by Merrels but they’re still cute, had great reviews and are comfortable for people with wide feet, which I unfortunatly have, but the best part??? The price! Originally $93 (a price I could have never afforded) they had been marked down to $30. That’s right, $30! Ya, I won’t probably be able to wear them for another 6 months, but who cares? I finally have boots! And this isn’t the first time I’ve scored a sweet deal in the off season. While I was in Swaziland on the World Race in February 2012 I wandered onto Backcountry.com’s clearance website Department of Goods where I was able to score a sweet pair of Chacos for $45 in the color I wanted! Chacos usually sell for around $100. That’s pretty steep in my book, so I waited and looked and finally found my pair for more than 50% off! 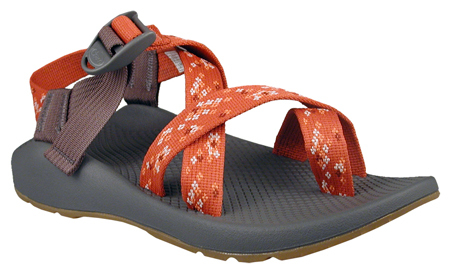 Another cool thing about Chacos? When the straps wear out you can get them completely re-webbed for $36. That’s like multiple pairs of sandals in one. Score! There’s nothing quite like the high you get from scoring an amazing deal on something you really want. Have you ever made a great score on an items you’ve been eyeing? Categories: Saving | Tags: Saving money, saving money on clothes | Permalink. Sale. This one word can make any womans heart flutter. When you add the word Clearance into the mix, ooo, watch out. When I go to Target (which isn’t as often as one might think) I have a habit of trolling the end-caps and attune my vision to notice the little orange stickers that mark an item as clearance. Those beautiful orange stickers. Suave Professionals Hair Care: Not technically on clearance… had BOGO coupon worth up to $5, it took $5 off my total cost so each bottle came out to 50 cents in the end, yay! 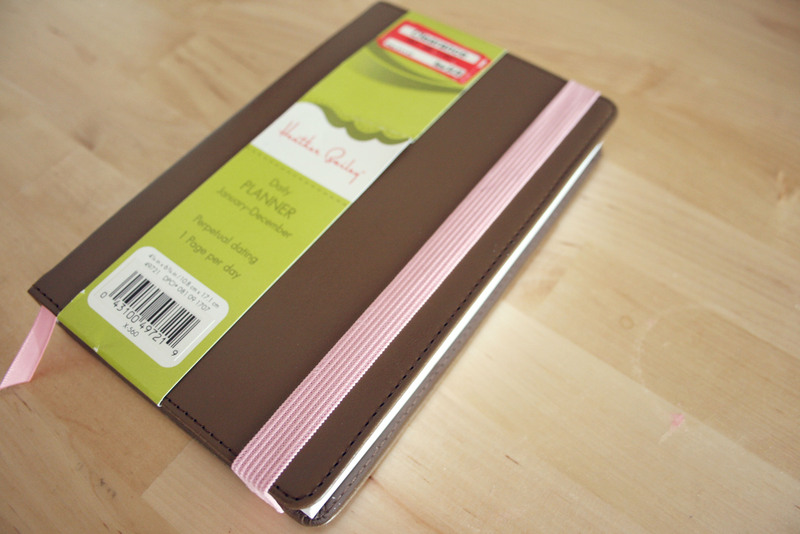 Heather Bailey Planner: Originally $15, on clearance for $3.50. I have trouble using planners but I do make lists so I’m hoping the format of this planner will work for me, and if not at least I didn’t spend a fortune on it. 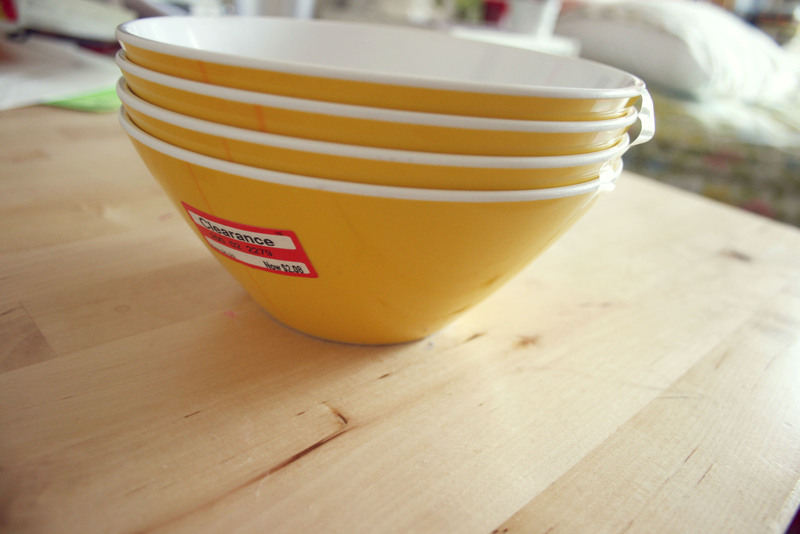 Package of 4 bowls: Originally $7 on clearance for $2. I’ve been stocking up on household items for awhile now. A couple weeks ago I bought a pack of plates on clearance so I thought I might as well get some bowls to go along with it. Afterall, you can’t eat cereal on a plate! 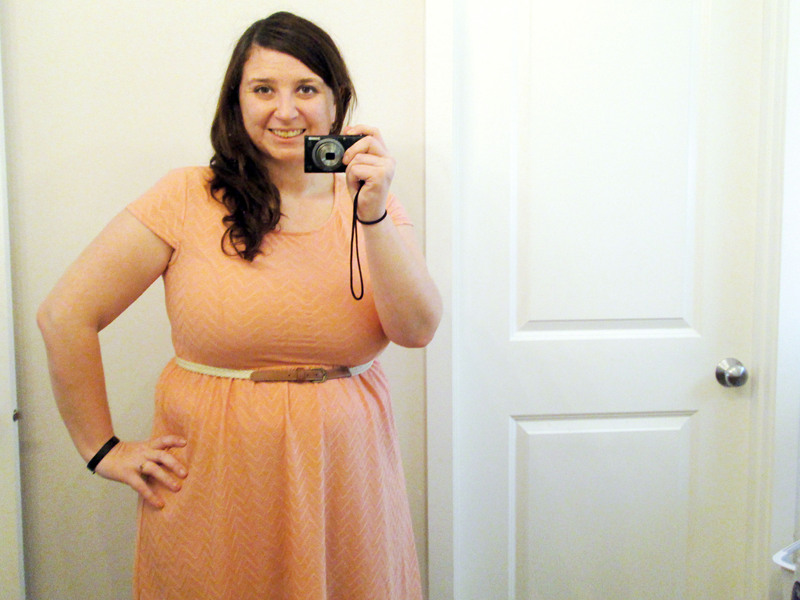 And finally I was able to score this dress as well as the same design in black for $12.50 each (Originally $25!). The funny thing is a couple months ago I took pictures of both dresses and put them on my “want list.” I typically don’t get 95% of the things on my list so it was cool to score something for once, and for a good price! Have you had any great scores at Target (or anywhere else) lately? Categories: Life, Saving | Tags: Amanda Dorough, Saving money, Target Clearance, Young and frugal | Permalink.